The only cure for hormonal deficiency is restoration of hormone balance! Many times people often mistake the symptoms of hormone imbalance in men and women with signs of aging. The good news is that these hormone imbalances are easily correctible, when you take action. Now you have the chance to change everything! As successful entrepreneurs, professionals, business executives, captain’s of industry and high achievers, our elite male and female patients in the Alpha Male Medical Institute® know that improving their health and the quality of their life as they age is an important, achievable reward. Dr. Rob and his team are working with them to achieve their lifelong health and fitness goals. Our approach to the science of age management and hormone optimization has been shown to decrease the risk of age-related disease, increase physical and sexual vitality, improve sleep quality, increase muscle tone, decrease body fat and sharpen mental acuity. As soon as you schedule your appointment, we arrange your evaluation with Dr. Rob. This intensive set of diagnostics and laboratory establishes your metabolic and physiologic baseline, revealing your health strengths and weaknesses. We use your evaluation results to develop a personalized and unique program designed to help you look and feel younger. Your comprehensive evaluation helps to identify and meet the criteria that will place you in the lowest possible risk category for disease and extend your health span with a high quality of life. After completing your evaluation, you will meet with Dr. Rob and his team to review laboratory and diagnostic test results and begin your personalized program. On a monthly basis, Dr. Rob and his team will track your progress, schedule regular check-ups and adjust your personalized program. In addition, you have 24-hour ready access throughout your program to Dr. Rob, his team and extensive resources—including in-person, phone, Skype™, text messaging and iPhone Face Time with Dr. Rob to answer questions and discuss your progress. Your comprehensive evaluation provides you and Dr. Rob an annual review for charting progress against your goals. Progress is evaluated by focusing on many factors, such as decreasing the risk of age-related disease, increasing physical and sexual vitality, improving sleep quality, increasing muscle tone, decreasing body fat and sharpening mental acuity. The comprehensive evaluation focuses on the elements of the endocrine system stems from mounting medical research favoring a balanced combination of hormones for healthy aging. The endocrine system is responsible for cellular communication, organ function, and maintaining youth and vitality. Balancing this complex system of hormones with our four faceted approach to health and wellness can help you achieve the youthfulness and vitality you deserve. Real answers to specific health concerns. Ongoing analyses reveal the entire picture of what’s happening inside your body. Periodic dialogue and consultations track progress, determining adjustments along the way. Optimizing Male & Female Health and Performance. Health-centered, patient-focused, restoring the doctor-patient relationship. 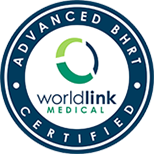 Solid science with evidence based protocols that ensure the best possible quality of life as you age. The intelligent optimization of male hormones when clinically indicated. Outside insurance or governmental entanglements, 100% private pay, no 3rd-party billing. 100% You taking control of your health for the future! To Your Health And Vitality! Do you have Low-T? The article we wrote for you should help you understand a lot more about Hypogonadism. 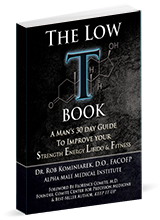 Take our free Low-T quiz to see where you rank and get a free information packed newsletter normally reserved for existing patients.